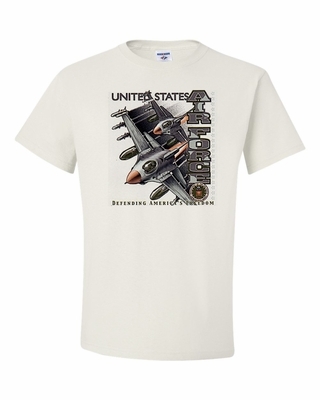 Anyone would be proud to wear our Air Force-Defending America's Freedom T-shirt or sweatshirt. Pair it with an Air Force-Defending America's Freedom coffee mug and you have a perfect gift for someone who has everything. Remember� you found the Air Force-Defending America's Freedom Shirts at TShirtHub.com, where high quality came at a low price.